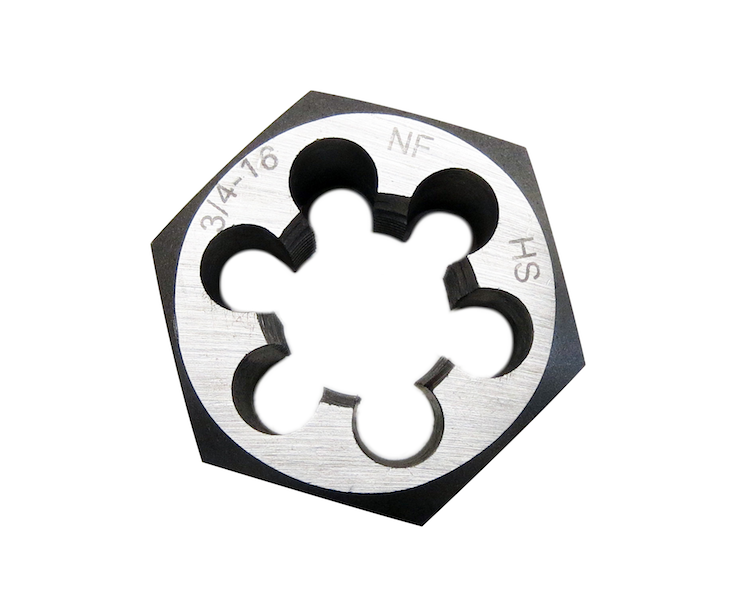 Carbon Hex Dies are precision high carbon steel dies. 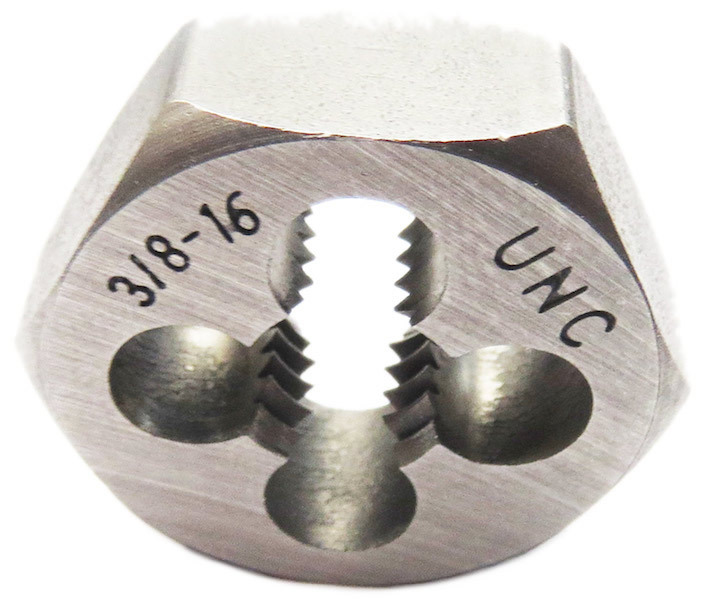 Rethreading Dies are extra thick to permit the user to rethread damaged or jammed threads and are not intended for producing new threads on an unthreaded bar, bolts, or pipes. 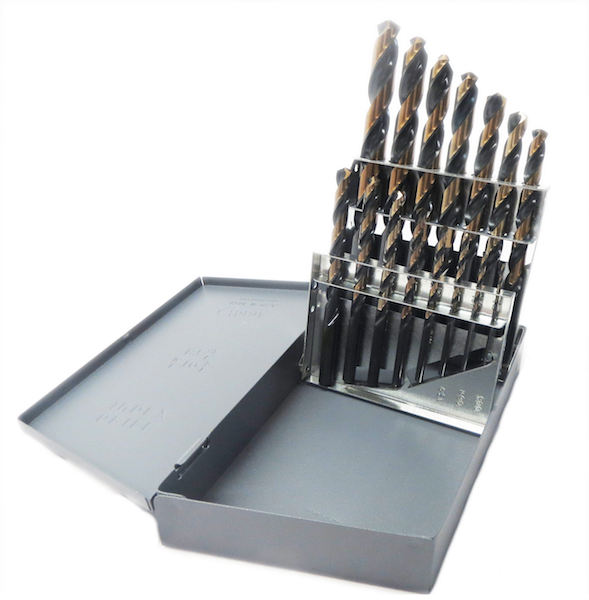 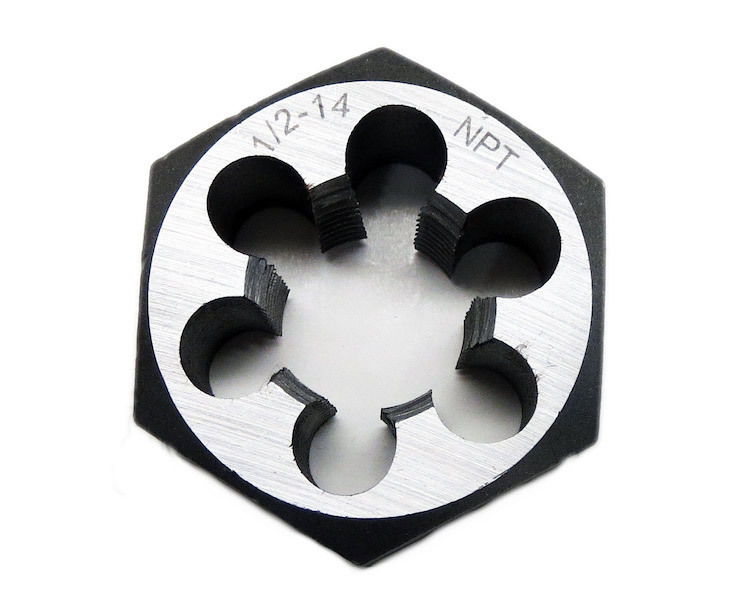 High Speed Hex Dies are designed for cutting all types of external threads.